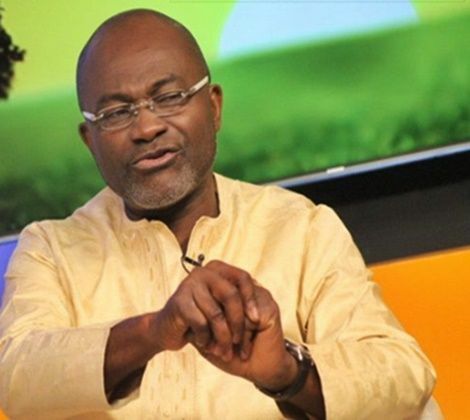 Member of Parliament for Assin Central, Ken Agyapong says he will not contest the 2020 parliamentary elections based on advice received from his wife. According to Mr Agyapong, his wife, was appalled by the video tendered as evidence against him by MP for Asawase, Mohammed Mubarak Muntaka and has since advised him not to contest the seat again. “My wife told me not to go again and I won’t go again; my constituents will try all they can to persuade me but I won’t go again. I have a life to live and I will entreat people to come see my lifestyle after parliament”. Speaking on Adom TV Tuesday, the MP said his decision was based on unfair treatment received from his colleague politicians. Mr. Agyapong is particularly not happy over what he believes to be discrimination against him. “When the guy said I wasn’t qualified to be an MP and that if I couldn’t stay in Ghana with Anas then I should leave Ghana, no parliamentarian or politician said a thing because it was against Kennedy Agyapong so everybody heard nothing," he lamented. Mr Agyapong appeared before the Privileges Committee Monday and rendered an unqualified apology to parliament and its leadership for describing parliament as “cheap”. He however denied ever calling Parliament “useless“. He told the privileges committee if the House feels slighted by his comments made on his television station, NET2 TV, he apologises for making them.